Plasma therapy or plasmolifting is a relatively new procedure, however it has already gained immense popularity around the world. This method allows you to strengthen hair bulbs, significantly slow down the hair loss and accelerate hair growth, restoring the density. How does the procedure of plasmolifting work? What is the essence of the method and what results can be expected? Find out more about the modern effective method of having beautiful hair. First of all, you should check out in which cases the plasmolifting is recommended. The answer to this question is quite simple, you can determine that you need this procedure on your own. According to the developers, after injections, hair follicles significantly strengthen, which reduces and almost reduces loss, helps to cope with high fat content, completely eliminate dandruff and its consequences (itching, irritation of the scalp). Important: In just a few days, the hair acquires a significant density, a pleasant sheen and a natural color. Blood sampling (The maximum single amount is approximately 100 milliliters). Substitution of the substance in a special apparatus that performs its purification from erythrocytes and leukocytes. For injection, a plasma that is maximally saturated with platelets is selected. The final stage – injections into certain areas of the scalp. They are carried out with a special needle of minimum diameter. The full course consists of 4 sessions, in some cases two procedures will be enough. The rest period between the procedures should be approximately 7 days. Repeat the course twice a year. How does this procedure work? It’s all about platelets. They not only are responsible for blood clotting, but also release specific proteins that stimulate cell growth and metabolic processes. In case of damage, platelets rush to the site of injury to accelerate the healing of the wound. Injection of platelet plasma “deceives” the body, launching recovery processes without any serious damage. The method of plasmolifting was patented in 2004. Initially, it was intended to be used to accelerate rehabilitation after surgical operations, but it perfectly proved itself in both cosmetology and trichology. You should know beforehand how to treat hair after the procedure: it is usually recommended to take vitamin-mineral complexes for hair, injure hair with curling irons as little as possible, and at least temporarily give up chemical perm, straightening, lightening and staining. In the first 2-3 days after therapy, you won’t be able to take a bath, visit the sauna and pool, and wash your hair. The effects of direct sunlight, too, is better to avoid – being outside, cover your hair with a handkerchief, a bandana or a hat. You can combine therapy with massage, firming and nourishing masks, but only after complete healing of the scalp. Important: When plasma is injected into the skin of the scalp, the blood supply of the follicles is dramatically improved, hair growth is stimulated, and the regeneration processes are accelerated. Hair starts to grow faster, and its roots are strengthened. deterioration of the hair condition due to numerous tram procedures, for example, chemical wave, discoloration and others. Important: Plasmolifting also cannot be performed within 2 days after taking non-steroidal anti-inflammatory drugs and within 2 weeks of the injection of corticosteroids. Hypoallergenicity: For injections, the serum of the patient’s blood is used – an absolutely biocompatible substance. Naturalness: When plazmolifting is done, synthetic drugs aren’t used. No need to do anesthesia: Injections are produced by a very thin needle, and there are few nerve endings in the scalp, so in most cases no local anesthesia is required. Absence of rehabilitation period: Immediately after plasmolifting, one can return to the ordinary way of life. The procedure is so simple that it can be done even at lunchtime. Absence of scars: After plasmolifting, there are no visible traces – the marks from the injections almost completely disappear the next day. Even your hairdresser does not realize that you were doing plasma therapy. Long-lasting effect: The result is saved up to two years. It can be extended if the procedure is repeated from time to time. Thus, hair really becomes healthy, and looks better due to the influence on a follicle. 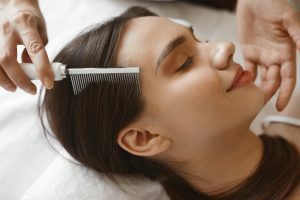 A relatively high cost: In comparison with cosmetic means for hair growth and scalp massage, plasmolifting is quite expensive. However, it is cheaper than operating methods of hair transplantation. An absence of an instant effect: The result will be noticed not immediately, but only after a few weeks, when the active growth of new hair will begin. In this case, the hair that has already grown. Complications associated with injections: The procedure should be performed only by a highly qualified specialist, otherwise there may be an edema and small bruises in the place of injections. Important: As you can see, there are much more pros than cons, that’s why if the disadvantages mentioned can’t prevent you from doing the plasma therapy, find a good specialist and enjoy the pros. Do you unsuccessfully use all sorts of masks, balms, shampoos against baldness and cannot get rid of brittle and split ends? Do you periodically have dandruff, dryness, fat, itchy scalp? Then it’s time for you to get acquainted with the mysterious world of trichology and professionals in the field of hair problems – trichologists. Don’t be afraid to visits the trichologist. 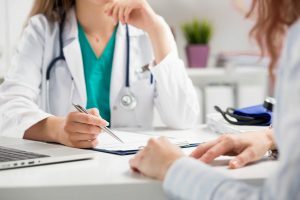 First, the doctor interviews the patient about the events over the past six months, including illnesses, stresses, environmental hazards, and collects information about alopecia. A qualified specialist will ask you about everything: diet, physical activity, medication, sleep and wakefulness, specificity of work. After collecting information about the patient, the doctor performs a visual examination of the hair. To understand the causes of hair loss, the trichologist will direct you to the most common tests – a general blood test, a biochemical blood test, hormones, and a trichogram (a diagnostic procedure that examines the scalp, scalp, hair roots with a video camera with a different increase at different growth phases. Before deciding on plasmolifting, it is worth to visit a trichologist and find out the reasons for your hair problems. 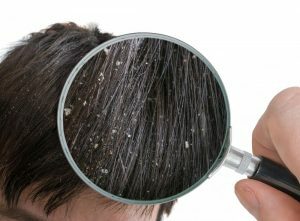 Often hair loss and weakening is an alarming sign that signals hidden diseases that require immediate treatment. Sometimes hair falls out due to medication – and in this case, you need to discuss with your doctor in charge the possibility of replacing the drug. If this is your case, then you should reconsider the lifestyle and diet. In any case, hair never begins to fall out without any reason and it is always more important to identify and eliminate the cause than to fight its consequences. You should carefully consider the choice of the trichology clinic – this is perhaps the most important recommendation. The center must have a license to carry out medical activities in the relevant area – dermatovenereology and cosmetology. It is desirable for physicians to have a lot of experience, not to mention sufficient qualifications, in carrying out such complex procedures. This minimizes the risks of complications. Plasma therapy does not take much time (the session lasts up to one hour). Before proceeding to injections, the patient is recommended to take basic tests in order to better understand the state of his health and the possibility of taking blood for the use for cosmetic purposes. If all the indicators are normal, then you can safely embark on a beauty session. Important: Do the plasma therapy only after getting the professional consultation to be sure that this method will be helpful for solving your hair problems. 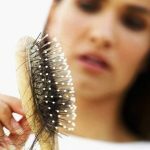 You should understand that plasmolifting cannot completely stop hair loss, and should not do this. It’s about the physiological norm. Every day, you lose about 100 obsolete hairs, and in their place new hair grows. Plasmolifting also has a stimulating effect on follicles. After the procedure, the blood circulation and nutrition of the hair follicles are improved, the cells begin to divide more actively. new hair grows stronger and shiny, less split. Approximately 40% of patients notice significant improvements already after the first procedure, and if the hair condition was initially satisfactory, then the repetition may not be necessary. The recovery period after plasmolifting is approximately one or two weeks. Those who have already had a possibility to do the procedure say that in some cases, there can be side effects persisted for up to one month. If you are confused by any reaction of the body, try to visit a specialist again for personal advice and treatment. With the long-term preservation of side effects or too strong reaction to injections, it is not recommended to do the second procedure of plasma therapy without an exact explanation of the causes of such consequences. Important: To achieve a persistent and pronounced effect, especially when alopecia and dandruff are noticed, several procedures may be required – on average from 3 to 5. Plasma lifting can be carried out every 2 weeks if you haven’t had any side effects after the first procedure of plasma therapy. How to make your hair beautiful with the right essential oil?